Verragio’s Insignia, Couture, Venetian, Parisian and Renaissance Collections allow you to create the engagement ring of your dreams. 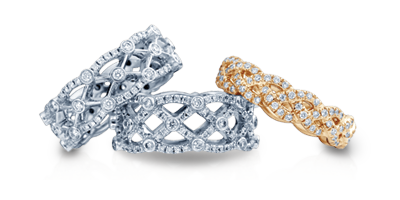 From Venetian lacework and French beading, to Parisian wraps and rose gold Couture inlay, it’s never been easier to create a unique engagement ring or wedding band that is cutting edge with a classic foundation. 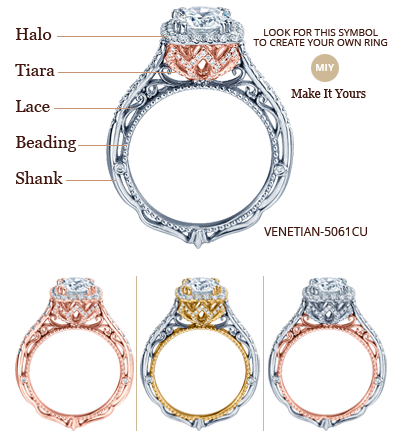 The possibilities are endless when it comes to customization with Verragio. 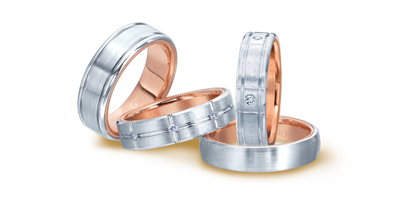 If you prefer a rose gold engagement ring with a white gold diamond Couture Riviera, or a yellow gold Venetian wedding band accented with white gold lacework, Verragio can create any custom ring combination you can think of. Make it yours! 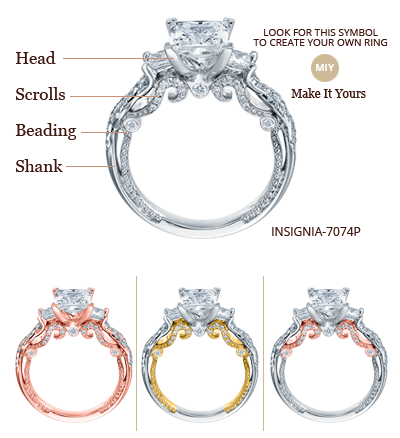 Engagement rings from the Verragio Collection are unique, elegant and easy to personalize. 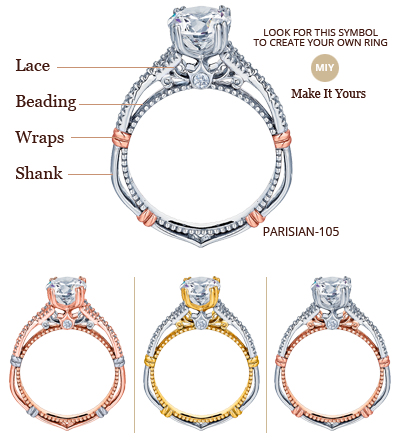 Each ring is hand crafted for the person who will be wearing it for the perfect fit. 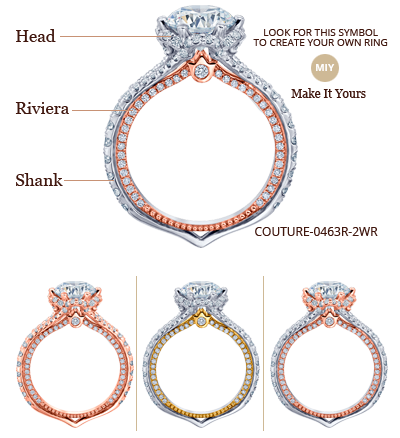 Verragio, unlike any other ring.